Barcelona, November 28, 2017. 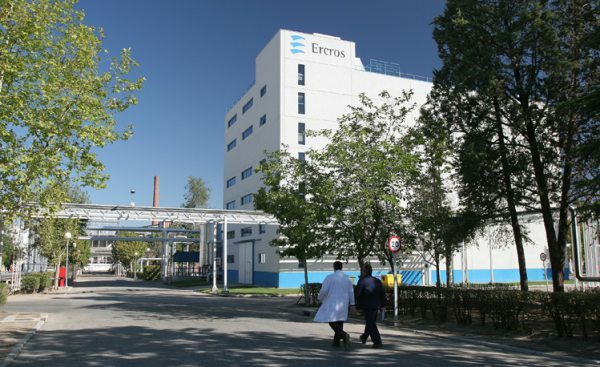 - The management of Ercros and the workers' representatives have reached today an agreement on the restructuring of personnel derived from the European ban on the use of mercury technology in the chlorine production process. Finally, the number of people included has been 105, 43 of which belong to the Flix factory; 34, to the Cardona factory; and 28, to the Tarragona complex. The estimated cost of the application of the agreement amounts to 11 million euros. According to the social plan that accompanies the agreement, all persons who have terminated their contract will have the opportunity to be relocated in other centres of the Group in virtue of the 149 partial voluntary retirement applications that have been received. Given that the objective of the social plan is to promote the maximum possible relocations, the agreement contemplates a package of additional indemnities to the basic compensation that the affected workers will receive (20 days per year worked, with a maximum of 1 annuity), which may reach up to 33 days per year worked, with a maximum of 2 annuities plus 14,000 euros, for whom the acceptance of the Ercros' job offer means that they will have to change their residence. To those people who choose not to accept the offer of relocation, if this implies a change of residence, an additional amount will be paid depending on the distance between the offered centre and their current workplace, until a maximum of 20,000 euros. The first contracts will be terminated as of December 11, 2017, which is the date on which the activity of the plants affected by the prohibition should cease, and the last ones on December 31, 2019, when it is expected to end the dismantling of closed facilities.